The online auction open is now OPEN! You can now see items and begin bidding. On your phone, go to http://tinyurl.com/mobileauction. If you see the word, “Anonymous” in the top left of your screen, you’ll need to login. 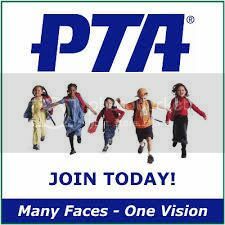 If it does not say Winnona Park PTA across the top bar, follow the instructions below, only you’ll see a link named, “Log Out” instead of the one named, “Exit” referenced below. Click the, “Exit” link in the top right, enter group number 755 and then click the button, “Log In or Register”. Once you’re logged in, you’ll see your bidder number in the top left. On your laptop or desktop computer, go to http://tinyurl.com/indigobid and sign in. The online auction closes on Friday, March 24th at 8pm. Winning bidders will be contacted for pick-up instructions. Thank you for supporting the annual auction. Every dollar of your donations will go to awesome field trips, teacher workshops, school improvements, new books and more!